Go 'Hoos! 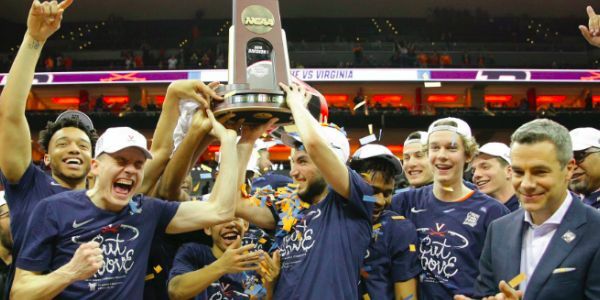 As a UVA alumna, I am so excited about our basketball team's big national championship win! What I'm less excited about, however, is the inevitable invitation to visit the White House that the Cavs, like other winning teams, will soon receive. Will you join me in urging the team to skip the White House visit in protest of Trump and his support of white supremacy? Since Trump first entered the 2016 presidential race, he has done all he can to stoke racial tension and embolden white supremacists. Hate crimes are on the rise, and we've witnessed an increase in people verbally attacking or calling the police on strangers just because of their race or ethnicity. But despite the increase in violence, Trump has continuously turned a blind eye or outright supported racists. Who can forget when Trump said that there were "very fine people on both sides" of the deadly white supremacy rally that took place in Charlottesville in August 2017? Since then, leaders in Charlottesville have made great efforts to do the opposite of Trump and stand against racism. In the wake of the hate that invaded our beloved lawn three years ago, our own University officials worked diligently to make students students feel safe and to peacefully unite our academic community against intolerance. And when a local teen recently made racist online threats towards black and Latino students, Charlotteseville Police Chief RaShall Brackney and Superintendent of Charlottesville City Public Schools Rosa Atkins were both strong and unwavering in their denunciation of racism and intolerance. Now it's time for the Cavaliers to stand strong too. By accepting a White House invitation, the team would be condoning the president's reprehensible and divisive behavior, which is unacceptable. Please sign this petition, and together let's urge the UVA Cavaliers to take a strong stand against white supremacy and refuse to visit the White House as long as Trump is in office.